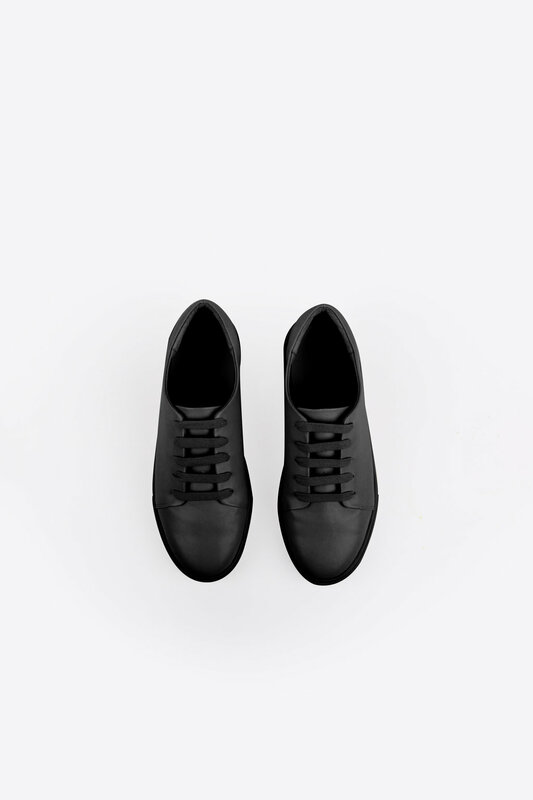 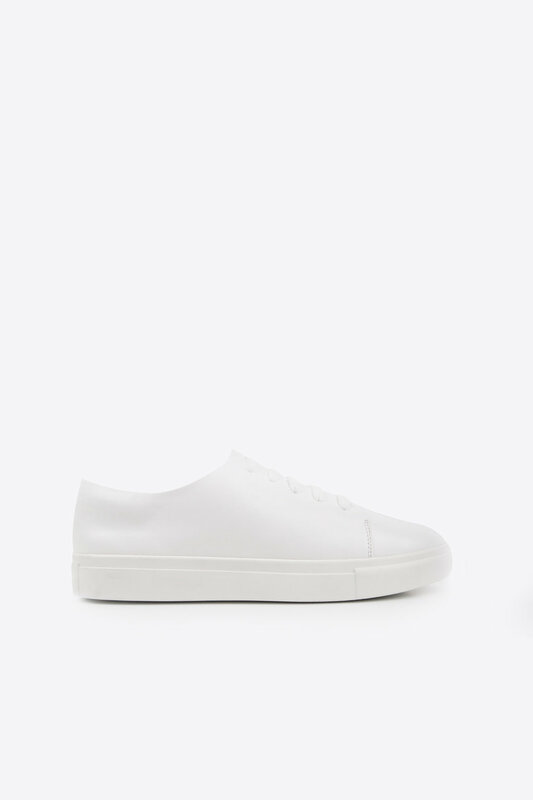 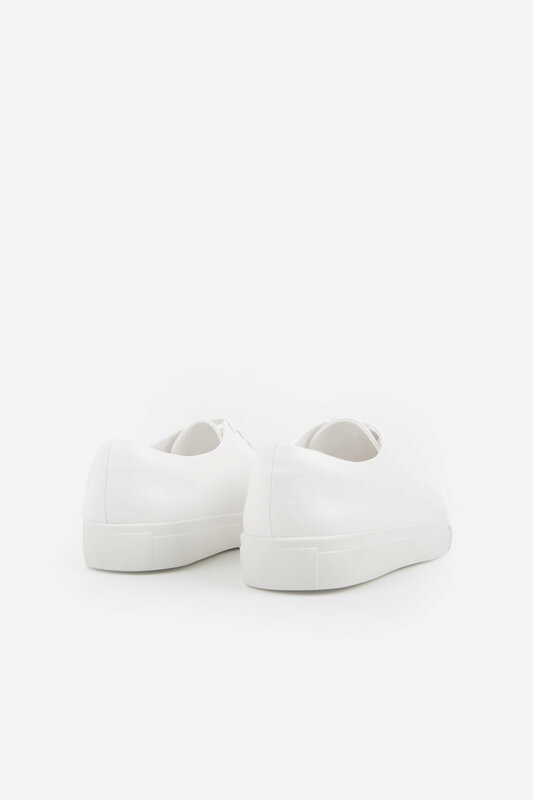 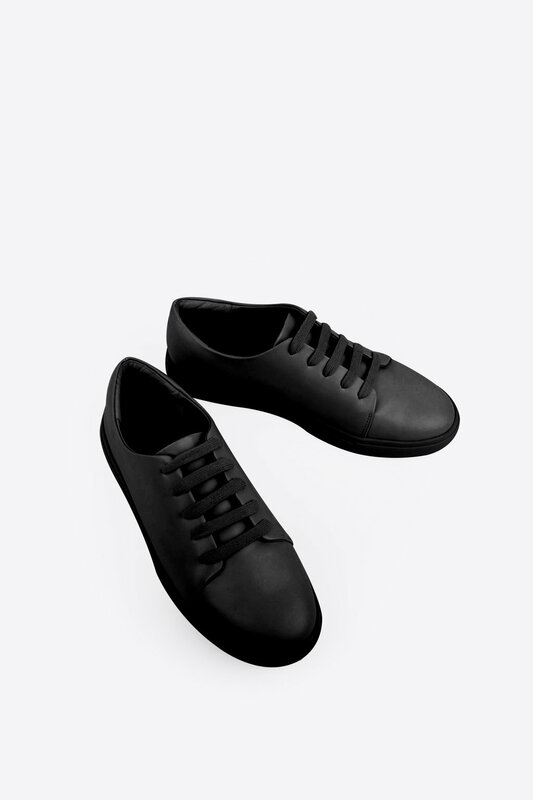 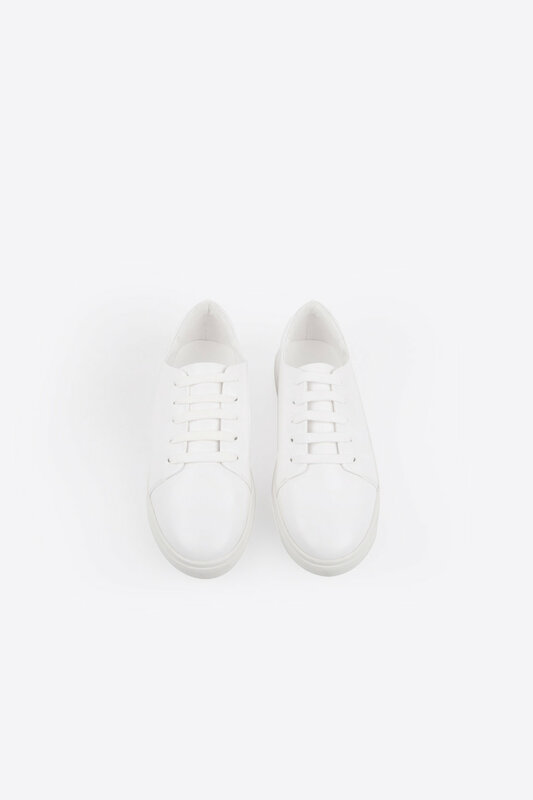 Crafted from a smooth vegan leather, these sneakers feature a classic rubber sole and lace-up front for a sleek and minimal design. 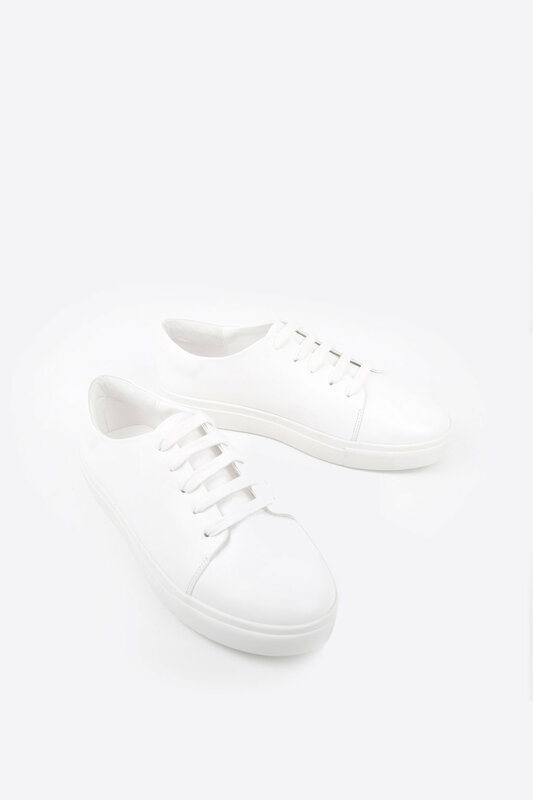 Effortless and versatile, pair these with any outfit for a clean and refined look. 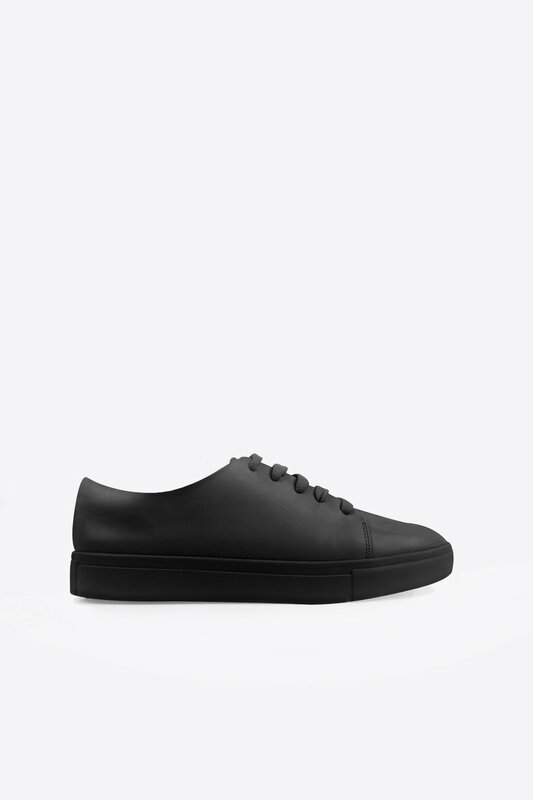 Available in sizes 8-12, 40.5-43 EU and 7-9 UK.